Based on the latest generation of DJI drone technology, the M200 Agri Pro is a package that combines a reliable and easy-to-fly drone platform with the latest multispectral camera technology options from Micasense or Sentera. This all adds up to the ability to capture high-resolution and high-quality multispectral and visual data, more often and in more environments than ever before. 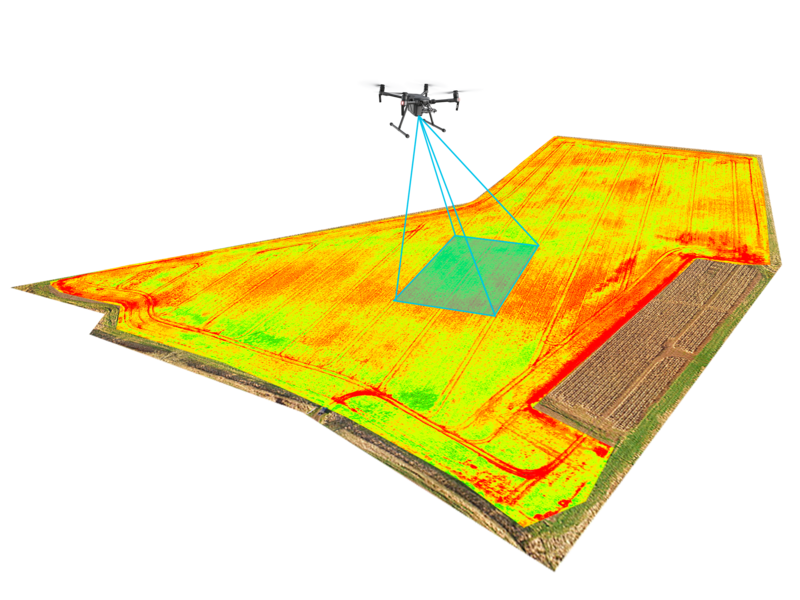 Innovative, simple multispectral camera integration creates a powerful vegetation mapping tool – a first for the M200. High-performance motors paired with 17-inch propellers ensure stable flight, even in strong winds. Power for up to 30mins flight and automatically heats batteries when flying in sub-zero temperatures. An IP43 rated, enclosed design ensures weather and dust resistance. Perfect for farm environments. High speed stability means data collection is fast and efficient, even in windy conditions. The capture and export of stabilized or calibrated, raw reflectance data allows for many different types of analysis, across data-sets taken at different times. Thermal IR can also be used, to provide extra data layers with the Altum sensor. High-resolution data makes growth detectable early and population analysis for establishment, density and size distribution calculable. Terrain elevation map data layers also provide valuable information. Produce maps of chlorophyll content that are more accurate and more up-to-date than satellite. Combine with biomass data to generate prescriptions for variable rate application, on the same day. Use highly accurate data from up to 6 individual, incoming-light calibrated bands, input custom formulas and export in multiple formats. All Include: A fully tested M200 with plug-and-play sensor of choice, controller, controller harness, 2 x TB50 batteries, case (folded drone only) and a 5 foot landing pad. Training at our farm base and full support is also included. 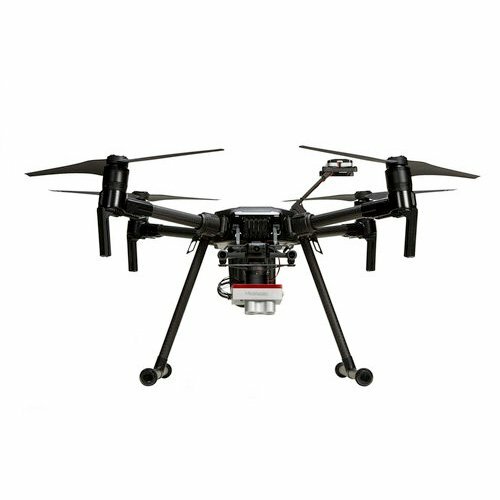 Includes: Gimballed dual sensor with RGB, NDVI, NDRE or 5 band options and 1 year of Field Agent Software. For: Professionals, large farms and Agri businesses to capture real-time, useful data easily. Includes: Gimballed quad sensor with 4 customisable narrow bands (400nm – 900nm, 10-60nm width). For: Applications where custom light bands are required for very specific identification/analysis. 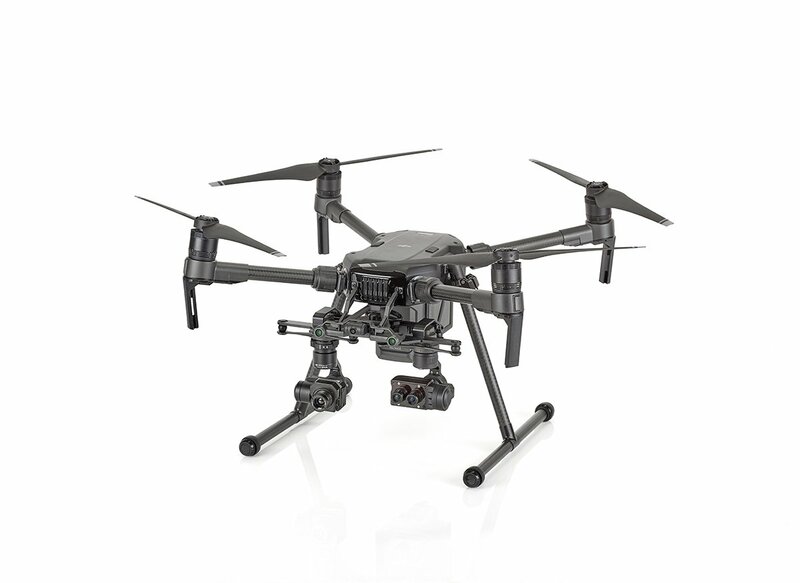 Includes: 5 band RGB, NIR, RE sensor system and 1 year of Pix4D Fields Software. For: Anywhere fully incoming light calibrated, reliable and proven data is required. Includes: 6 band sensor system RGB, NIR, RE and Thermal IR and 1 year of Pix4D Mapper Software. For: Everything the RE-M can do plus Irrigation control, fruit maturity, and where higher resolution is needed.